So, here we are. It is getting close to that long awaited time for fans everywhere. Anthem is soon to be released. From the 25th January 2019 to the 27th January 2019, players who have pre-ordered the game have been allowed VIP access to the demo. From the 1st February 2019 to the 3rd February 2019, the demo will be open and available to download for remaining players. 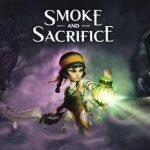 The full game is due to be released on 22nd February 2019. Anthem is being developed by BioWare and published by Electronic Arts. It will be available to play on Xbox One, PlayStation 4 and PC. It is an action role-playing game that is played in both first and third-person. The game is designed to be played online but is also available to play in a solo mode. If you have been living under a rock, you may not have heard what Anthem is all about. 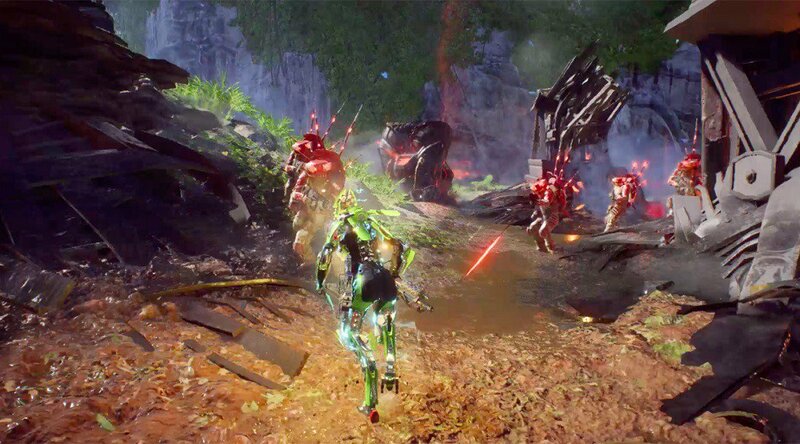 Anthem is set in a futuristic world where cities are jam-packed full of people and, outsideof these cities, wildlife seems to have blossomed. Monsters and creatures of a wide variety run wild. It is your job, as a freelancer, to explore the surrounding landscape. Whilst playing the VIP demo, I was thrown into the world of Anthem at Level 10. The demo was playable from Level 10 to Level 15, and there were set missions I had to complete outside of the cities walls. You have the choice of giving your character a male voice or a female voice. I obviously chose a female voice, being female myself. Each player has an exo-suit called a Javelin, and they are completely customisable. Each has the ability to fly, float, jump and has a fair number of weapons at its disposal. Changes were limited during the demo, as can be expected. When the full game for Anthem is released, players will be able to sculpt their Javelin however they please with a wide range of choices. These choices will include the choice of their specialisation. Players will be able to specialise in one out of four classes, so make sure you choose wisely. The choices are Ranger, Interceptor, Colossus and Storm. Rangers are background-style fighters dealing damage from further away utilising guns, like sniper rifles. Interceptors are extremely quick-style fighters dealing quite a lot of damage and are likely to be used for close quarters combat and flanking the enemy. The Colossus is very simple, think of them like Anthem’s version of the MMORPG “tank” trope. They keep the enemy occupied and take a large amount of damage. Storms are your magical and mystical type of fighters. They can float in mid-air longer than the other fighters and utilise powers and spells to deal their damage. 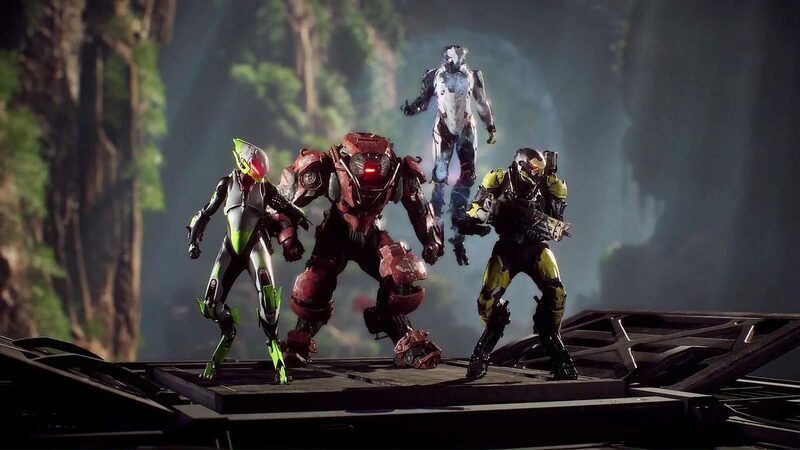 If you are going to be playing Anthem with a group of friends, it may be a good idea to discuss who is going to be which type of fighter. That way you have one of each and don’t end up all being one type of fighter. It feels like I have been waiting to play Anthem for a lifetime. I had such high expectations. I can safely say that Anthem has completely lived up to what I had expected. It is quite rare that you can imagine what a game will be like and it meets up to that standard, so I am very happy and excited for the full release. 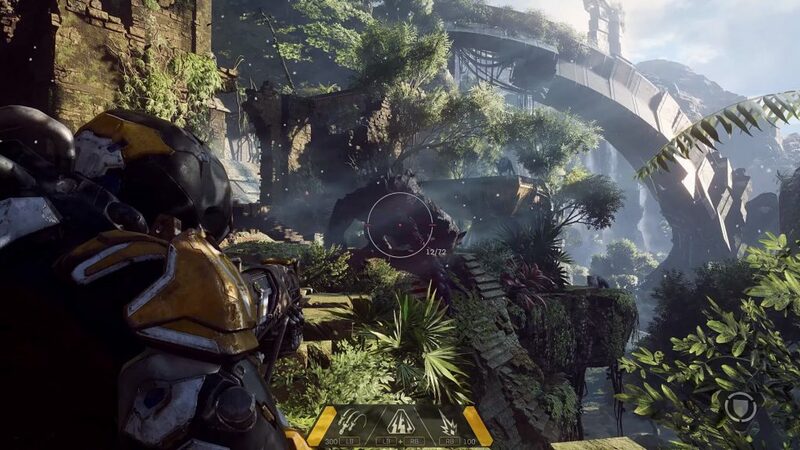 Anthem is an absolutely huge and beautiful open world. From each individual blade of grass, each drop of water from a waterfall or the little islands of land that float in mid-air, the amazing graphics are true to what was promised. There is no feeling like flying around the vast, bright and colourful world that is Anthem. The game is absolutely visually stunning and has impressed me more with each moment I have had the privilege of playing. The main thing to expect from Anthem is to be absolutely glued to the screen because I found myself not wanting to miss a moment. Like all big games that have a playable demo released before the full release of the game, Anthem was not perfect. There were countless loading and glitching issues. This was something I had completely expected. I see a demo as a way of the developers testing the game and testing the servers. I am very hopeful that these issues will be resolved before the game is fully released. Also, I can comfortably say that, other than the loading and glitching issues, there were no other problems with Anthem. As I have mentioned, the VIP demo was only available from 25th January to 27th January, so it wasn’t a lot of time spot any other issues, but so far so good!